1. CMH NISSAN DURBAN (“the Promoter”) is conducting this promotional competition (“the Competition”). 2. The promotional competition is open to all South African residents who are in possession of a valid identity document, except any director, member, partner, employee, agent or consultant of the Promoter, Mr Price Group, the marketing service providers or any person who directly or indirectly controls or is controlled by these entities, including their spouses, life partners, business partners or immediate family members. 3. Any participant under the age of 18 years must be fully assisted by his/her guardian, who approves of and consents to the participant’s participation in the competition and the participant’s receipt/possession of the prize. 4. Participants are not required to have a valid driver’s license to win a prize, but a prize may only be collected by a representative of a winner who is in possession of a valid driver’s license at the time of collection of such prize. 5. This promotional competition runs from Friday September 15 and ends Wednesday 21 March, 2018. Any entries received after the closing date will not be considered. 7. Participants must enter their correct/legible contact details. If a winner has given incorrect contact details, the Promoter reserves the right to select another winner in terms of these rules. 8. Participants may enter as many times as they wish provided that each entry meets the criteria specified in clause 6 above. 9. Entrants stand the chance of winning a Nissan Micra Active with a 6 year 150,000 km and 3 year 90,000 km service plan. The Promoter shall solely determine the specifications and colour of the vehicle to be won and the Promoter’s decision is final. 10. The cost and arrangement of licensing, registration and insurance of the prize is excluded. Winner or winner’s representative must be available to attend prize giving (flights and accommodation to Durban will be arranged if necessary) on Saturday 31 March 2018. 11. Winners will be announced on social media and by participating in this competition, the winner gives permission for their name and picture to be used in advertising and/ or media. 13. The Promoter shall have the right to change or terminate the promotional competition immediately and without notice, if deemed necessary in its opinion, and if circumstances arise outside of their control. In the event of such change or termination, all participants agree to waive any rights that they have in respect of this promotional competition and acknowledge that they will have no recourse against the Promoter or its agents. 14. Neither the Promoter, the MRP Foundation, its agents, its associated companies, nor any directors, officers or employees of such, shall be liable for any loss or damage, whether direct, indirect, consequential or otherwise arising from any cause whatsoever, which may be suffered by a participant resulting from the participation in this promotion or the use of any prize. 15. The judges’ decision is final and no correspondence will be entered into. 16. Participation in the promotional competition constitutes acceptance of the promotional competition rules and participants agree to abide by the rules. 17. In the event of a dispute in regard any aspect of the competition and/or these terms and conditions, the decision of the Promoter will be final and binding and no correspondence may be entered into. 18. 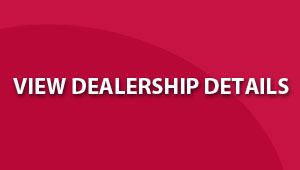 CMH NISSAN DURBAN may refuse to award the prize if entry procedures or these terms and conditions have not been adhered to or if it detects any irregularities or fraudulent practices.